How do you give up something you have done your whole life? That was the tough question Skyler St. John had to ask himself in September, just a month after starting his last year of college and final season of eligibility. For the Cedar Rapids native, injuries were not anything new. It has seemed at times like Skyler knows more about being hurt than healthy. That’s been the case for much of his college career. It all started with a shoulder injury his true freshman year at the University of Iowa that led to him missing the entire season. What followed were two years with strained LCL and MCL’s in both legs that ultimately resulted in a torn LCL (right leg) his junior season. His redshirt senior year rolled around and a torn ACL finally brought his future into question. Skyler took the stage against Ohio on Dec. 16 before he hung up his singlet for good to have season-ending ACL surgery. “It was emotional to watch his last match,” freshman Logan Schumacher said. The redshirt senior lost that match 4-3 that day. When he came off the mat the score did not matter. His coach and older brother Derek St. John took him in for a hug. Derek was the first one to approach Skyler. The brothers were out hunting which is one of the things the two of them love doing. 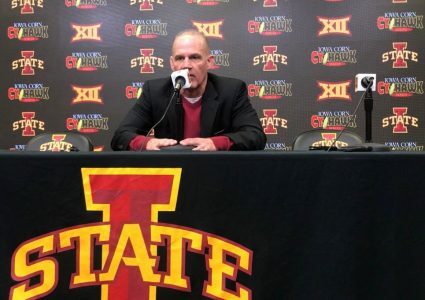 Derek, head coach Kevin Dresser and assistant coach Brent Metcalf had all agreed that it was better to have a Skyler who could walk at 60-years-old over securing another guy on the mat. Skylar didn’t show it, but the decision was a difficult one to process. Skyler is a man of few words. Being the easy going, funny guy in the room comes natural to him. Being emotional and open about his feelings does not. Skyler was only three years old when his wrestling career began. In fourth grade, he had to learn how to adapt to major life changes that came from his parents divorcing. With so much chaos at home, his interest in wrestling plummeted. But, he didn’t quit. It wasn’t until he had the opportunity to start varsity at Prairie High School his sophomore year that Skyler found the spark again. The Prairie High alum finished conference runner-up his sophomore and junior year. He put all his energy into improving. His senior year, he walked away conference champion at 160 pounds. Skyler also led the team in takedowns his junior and senior season along with a Most Improved award his junior year. When it came to college, he followed in his brothers footsteps. He earned a scholarship to wrestle for the Hawkeyes. “I’m not going to sit here and talk bad about Iowa but I didn’t enjoy my time there inside that wrestling room for certain reasons,” Skyler said. 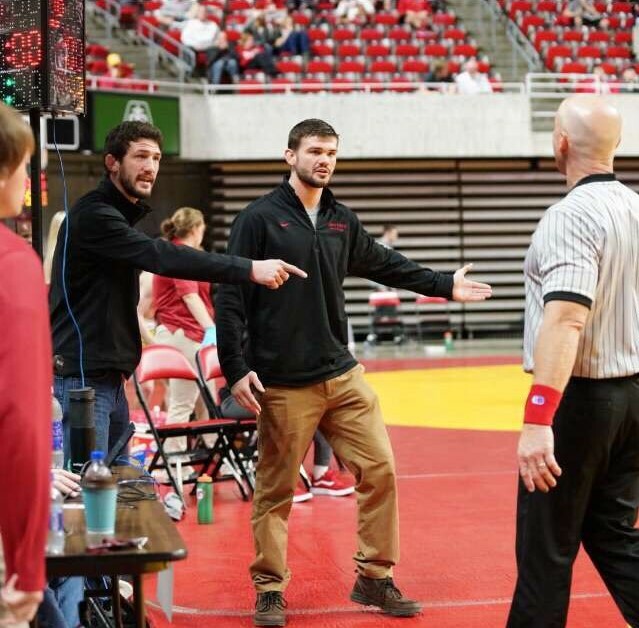 Making the decision to transfer was easy the moment social media alerted Skyler that his brother would be coaching at Iowa State. The hardest part about transferring for Skyler was waiting for the rest of the team to start buying into the culture the new staff brought to Iowa State. For the staff, bringing a guy like Skyler on their team was important. Skyler walked into the wrestling room ready to grow in the rebuild. For Skyler, he had already been around Derek and Metcalf. Dresser was new for him. Not everybody gets the opportunity that Derek and Skyler were given. That’s why it was so easy for Skyler to know he was transferring. Not only has Derek gotten the chance to coach his brother, but they’re roommates. When asked to go more in-depth about the relationship he has his with his brother, Skyler almost couldn’t find the right words. “He’s someone I’ve looked up to and idolized since I was a little kid. I’m never going to tell the guy no, I am always going to do what he says, unless I absolutely disagree with him,” Skyler said. 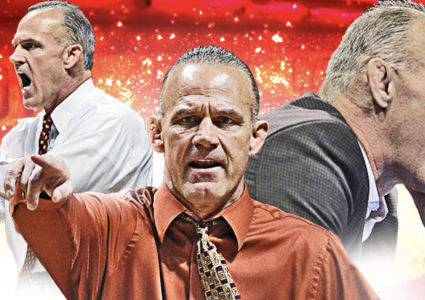 “Being able to work with him and spend time with him in the wrestling room is a pretty special opportunity. Not many people get to do that, especially in a wrestling world. It’s been very—I don’t know how to explain it. It’s just very special. Derek is the oldest sibling in their big family. Skyler comes third. For the two brothers, some would even call them twins. For Derek, putting into words what his brother means to him was just as difficult. Not only did Derek set a good example for his younger brother but ultimately helped him grow on the mat in his last two years. Skyler was given two options on what came after his surgery: walk off into the sunset or stay and help the team. “I was 100 percent about staying and helping the team in any way I possibly could,” he said. The selfless decision to actively give back to the team drew the admiration from the staff. It was a reminder of just what a dedicated athlete they had on their roster. For a quiet, lead by example guy, Skyler quickly became a mentor to the younger guys and was given the opportunity to help coach unattached guys at weekend tournaments. 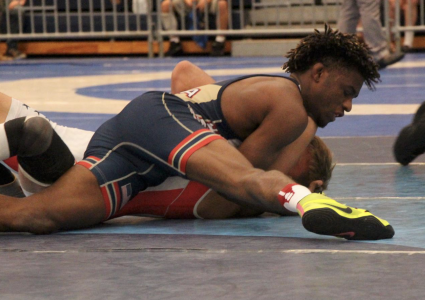 Although being injured caused several setbacks for the 165-pounder, he continues to keep cool and look ahead to what is next. For Derek, it was important for people to know his brother cared more than he could show.